Did you know that at Turner’s Pies we use Aberdeen Angus top rump beef in all of our beef pies? This is a controversial move…the general consensus among makers of pies is to use a cheaper cut of beef, say brisket or chuck, and slow cook it so that it becomes a tasty and tender pie filling. We like to know where our ingredients come from and what quality we can expect from them before we put them into our pies. After all, only the best will do for Turner’s Pies loyal customer base. 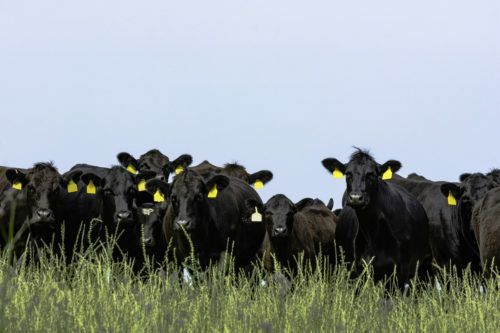 What is Aberdeen Angus Beef? Aberdeen Angus is a breed of cattle reared in Aberdeenshire, Scotland. 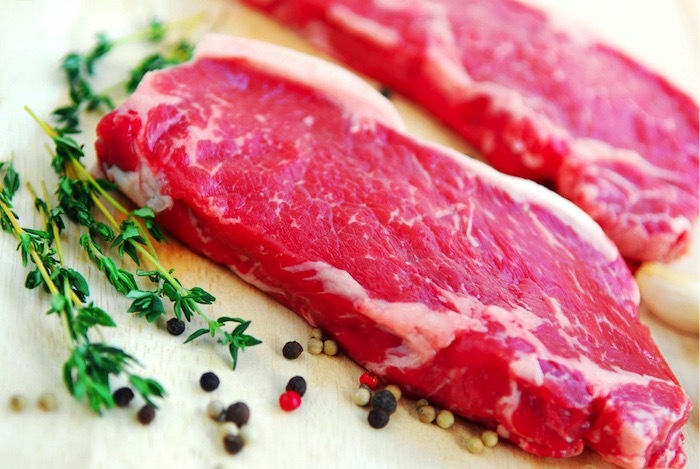 Scotch beef (meat has been born, reared in Scotland) comes from happy and healthy livestock. Their lifecycle is as natural as it gets and the cattle are not subjected to things like artificial growth hormones and blanket vaccinations. A scotch calf will typically be suckled by its mother for the first few months of its life, helping to build up its immune system. This minimises the needs for antibiotics and medication. Later in its life the calf will graze on grass and forage on the Scottish land. This means a steady and natural rate of growth that has a positive impact on the colour, flavour and tenderness of the calf’s meat. Why does Angus Beef taste so good? The origin, lifecycle and treatment of Angus Aberdeen Beef is responsible for it’s excellent marbling. You’ll recognise ‘marbling’ as the little white flecks scattered throughout a cut of beef. It means the fat is dispersed evenly among the meat. This creates a more tender, juicy and flavourful meat. Our steak pies are the best in Britain and we have numerous awards to prove it. We think that the beef we use plays a big part in the success of our steak pies…it creates a tenderness and rich flavour that delivers on every mouthful. Try one of our award winning steak pies and see for yourself. 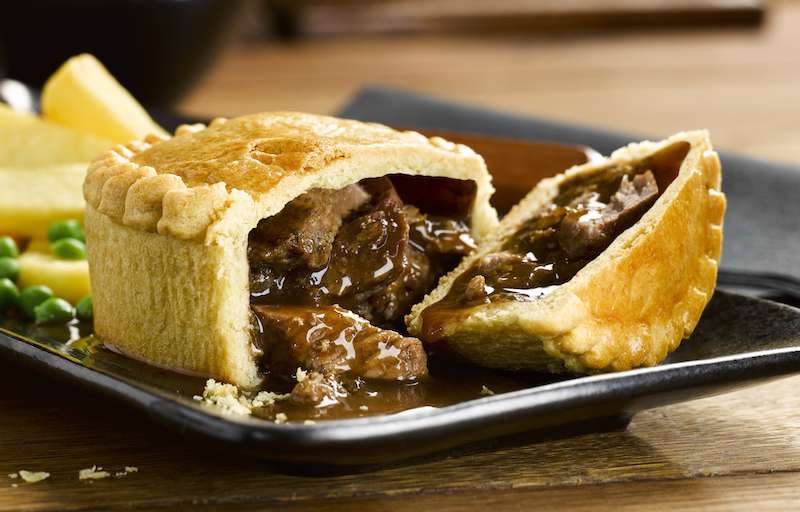 Our famous fillings include Steak & Ale, Steak & Stilton and Steak & Kidney. Available in our stores, via Click and Collect or for home delivery through our Pies by Post service.